​At Bayless Junior High we take the high road. We take pride in our school. We use kind words and actions, listen thoughtfully, and stand up for ourselves and others. We show respect and take responsibility for our learning. WE ARE BAYLESS JUNIOR HIGH! 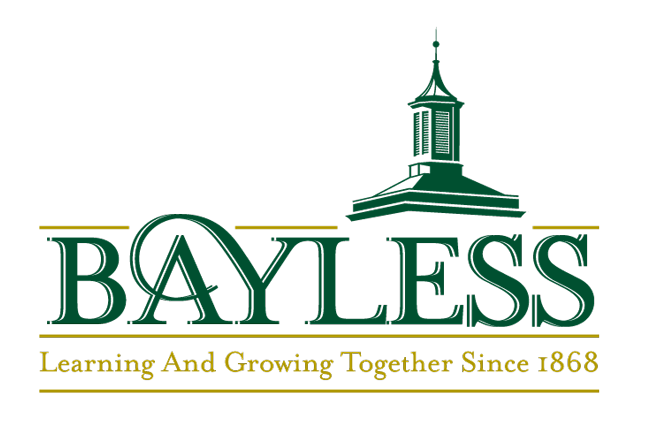 To learn more about Character Education at Bayless Junior High, click on the button below. Please consider participating in Ali’s Army’s Annual Golf Tournament. This year the tournament benefits a Bayless Junior High student and her family is she battles Malignant Melanoma. As of May 15, 2015 Bayless Junior High School has been re-certified as both a Missouri School of Character and National School of Character. Bayless Junior High School has enjoyed the status of being recognized as a Missouri and National School of Character. But as with all awards and success, continual monitoring and improvement is required to stay on top. The goal of the National Schools of Character (NSOC) awards program is to recognize all schools and districts that demonstrate an exemplary level of implementation of Character Education Partnership's Eleven Principles of Effective Character Education. The NSOC designation is renewable after five years. The awards recognize the level of excellence schools and districts have achieved in the Eleven Principles of Effective Character Education of Effective Character Education. These principles guide the process of creating a culture based on the community’s shared values. PBIS is a process for creating safer and more effective schools by structuring the learning environment to support the academic and social success of all students. PBIS data helps drive our character initiative. The process supports the adoption and long-term implementation of efficient and effective discipline throughout the school environment. PBIS methods are research-based and proven to significantly reduce the occurrence of problem behaviors in schools. Bayless Schools are proud participants in PBIS. Junior High School Teacher of the Year. For times of other specific Bayless events, please check the Junior High Calendar on this page or contact the school at 314.256.8690. Click on the file below to download the full district approved 2018-2019 calendar. The documents below contain information regarding registration at Bayless Junior High.